The blog hop makes a circle so if you are starting here just continue until you make your way back and you will have made it through them all. 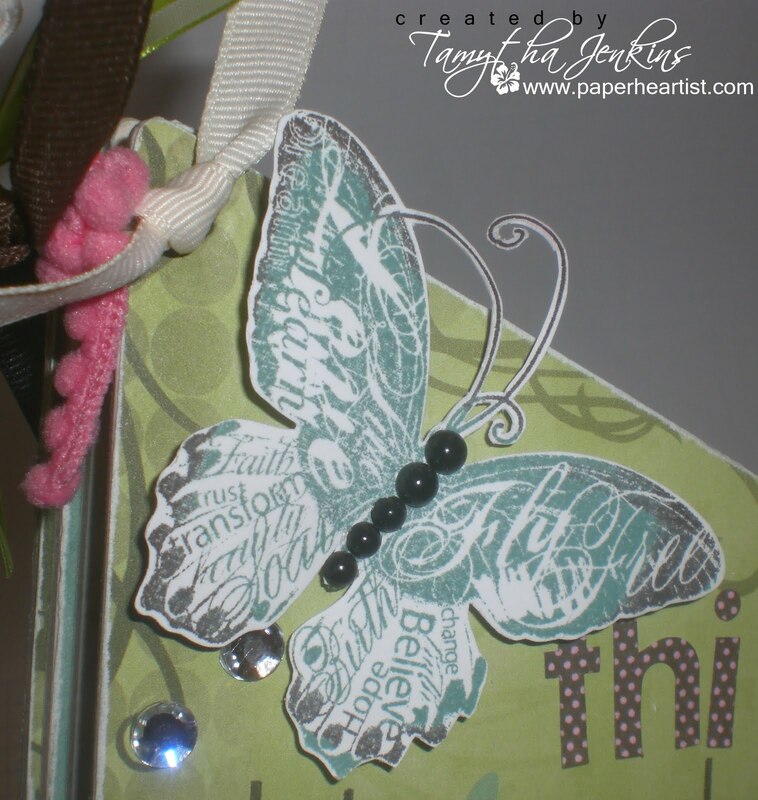 If you have already started and are coming from Haley Dyer's blog, "The Inky Scrapper", then you are on the right track. 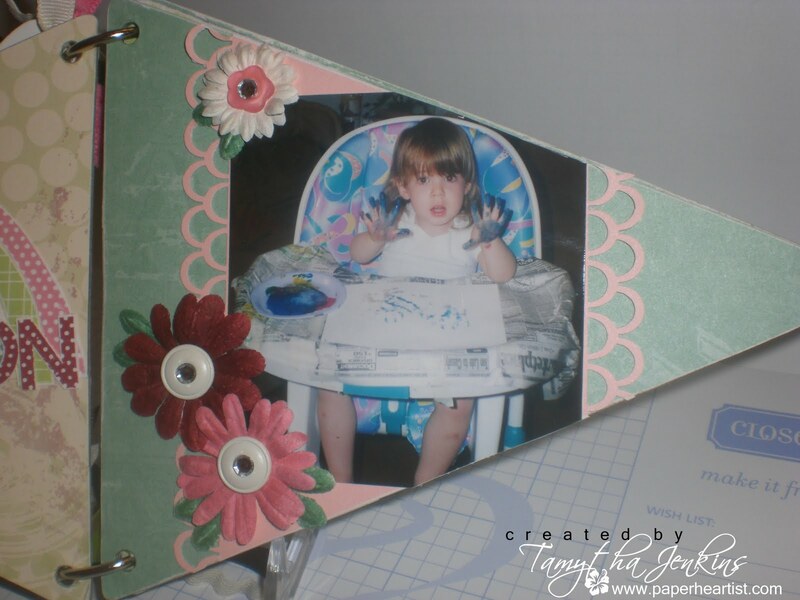 I was really excited when CTMH released the new My Creations Banner this past January. 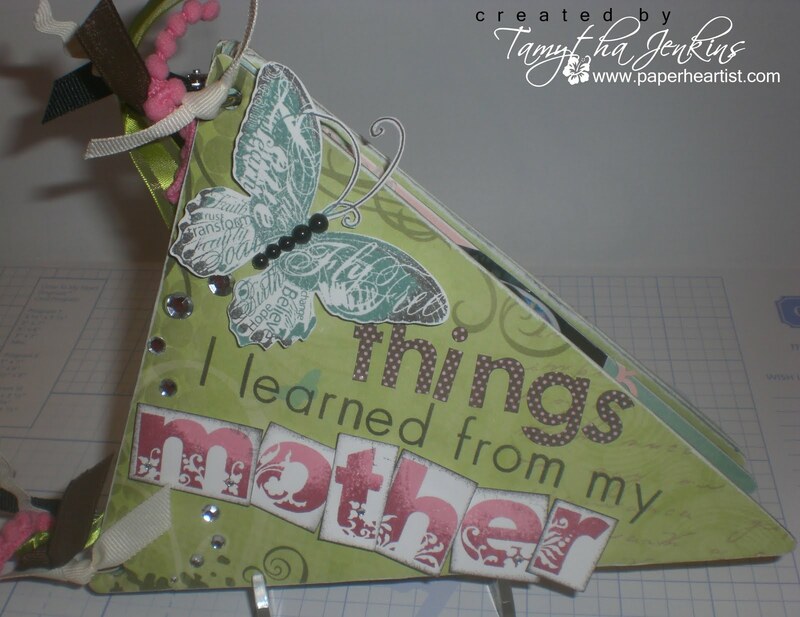 Of course, I created the special Wings Workshop that included the "Family is Love" instructions, but my mind got to thinking about other ways I could use these chipboard pennants. One of the projects I wanted to make was a brag book. I don't make too many mini-albums, but I am a sucker for mini-album kits. Probably because they're perfect to do at crops. ;) Anyway, over 10 years ago, I purchased an adorable mini-album kit at a Scrapbook Expo and I've had it on my shelves for almost as many years...completed, but I never did put photos in it...(note to self: put photos in it! LOL). I instantly thought about using the theme of this mini-album kit for my pennant album. 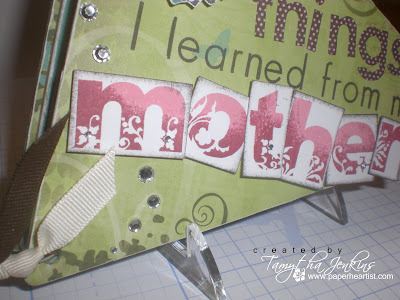 The theme is "Things I learned from my mother..." and it has really cute, adorable and all-to-familiar "motherly" sayings but with a little twist. So what I've decided to do is to show you the cover and the first page...so you can get the gist of the theme. 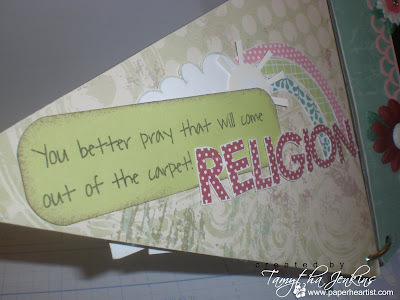 But then, I'm going to reveal each of the other pages (and sayings) a day at a time (that's my goal anyway). So be sure to come back tomorrow to see what the next bit of advice from mom is. If you have any questions about the products used in this project, just shoot me an email or post it in the comments. If you have time, take a moment or two to check out the rest of my blog. 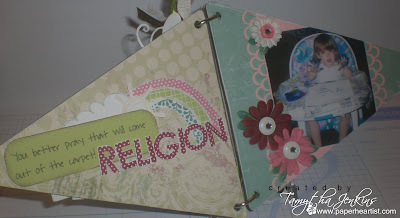 If you enjoy your visit, then please consider "Following Me" and/or leave a comment (we all love comments...the nice ones anyway), then be sure to continue along on the hop by heading over to Wendy Kessler's blog, "My Scrapbooking Blog" and check out her creation. 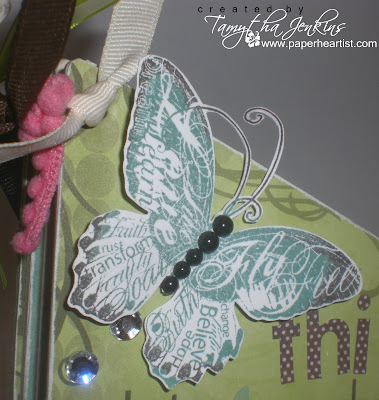 You can also find a list of all this month's CTMH Spotlight Blog Hop participants on Wendy's blog. What a great idea! Your mini album is adorable! I never would have thought to use the pennants as a mini-album. What a great idea!